Listed below are a range of products to ensure synchronised time on Windows NT, 2000 and XP computers and networks. If you want aWindows 2000 NTP time server, or a Windows 2003 NTP time server, or a NT time server, or Windows XP time Synchronisation, this page lists acomplete range of solutions. If you can't find what you need please contact us . If you want a low cost Rugby Atomic Clock Time Server for Windows computer networks thenthis product is an excellent solution. If you want Atomic Clock time accuracy on your PC then the PC Atomic Clock is the one. For stand alone or small networks this is the answer to accurate time, your own PC time server. 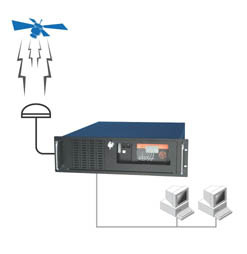 To synchronise commercial networks the Server GPC Clock provides safe guaranteed accurate time, a GPS NTPserver for key Windows based applications. 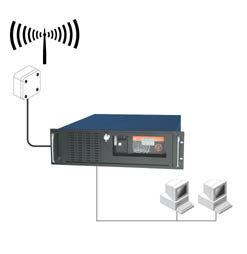 To synchronise the time on large commercial networks this is the solution for you. A reliable NetworkTime Server that can supply time across computer domains and continents for Windows, LINUX, UNIX, and NOVELL operating systems. To synchronise the time on large commercial networks, using the Rugby Atomic Clock, check out this TimeServer , for Windows, LINUX, UNIX, and NOVELL operating systems.